“What is a risk assessment?” This post aims to allow you to answer basic questions on risk assessments such as “a definition of risk assessment”, “why do risk assessments?”, “when to do a risk assessment?” and “how to do a risk assessment?”. A risk assessment is a vital element for health and safety management and its main objective is to determine the measures required to comply with statutory duty under the Health and Safety at Work Act 1974 and associated regulations by reducing the level of incidents/accidents. 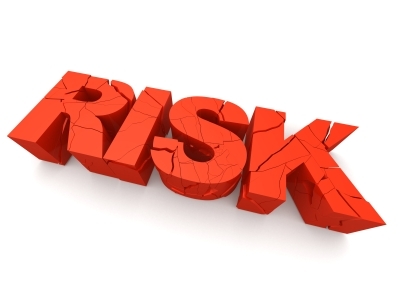 A risk assessment will protect your workers and your business, as well as complying with law. As for when to do a risk assessment it should simply be conducted before you or any other employees conduct some work which presents a risk of injury or ill-health. A person from your organisation needs to attend risk assessment training as it will ensure that this person is competent within your organisation and will gain abilities such as hazard identification, ability to categorise and evaluate risk(s). These abilities will allow a ‘suitable and sufficient’ risk assessment to be conducted within your own organisation. There are no fixed rules on how a risk assessment should be carried out, but there are a few general principles that should be followed. Once you have identified a number of hazards you need to understand who might be harmed and how, such as ‘people working in the warehouse’, or members of the public. After ‘identifying the hazards’ and ‘deciding who might be harmed and how’ you are then required to protect the people from harm. The hazards can either be removed completely or the risks controlled so that the injury is unlikely. Your findings should be written down it’s a legal requirement where there are 5 or more employees; and by recording the findings it shows that you have identified the hazards, decided who could be harmed and how, and also shows how you plan to eliminate the risks and hazards. You should never forget that few workplaces stay the same and as a result this risk assessment should be reviewed and updated when required. I hope this post has given you more insight into risk assessments, please feel free to discuss this information or post more specific information below. Should the self-employed be exempt from health and safety law? Pingback: Is Your Cash Transit Firm Following These Safety Procedures? A great introduction to Risk Assessment.